“The Collaboration of the Week” is a new regular feature story and podcast segment at MediaShift highlighting one important media collaboration and explaining how they did it. The series is sponsored by Airtable, the all-in-one collaboration platform for creative teams. Receive $50 in credit by visiting airtable.com/mediashift. 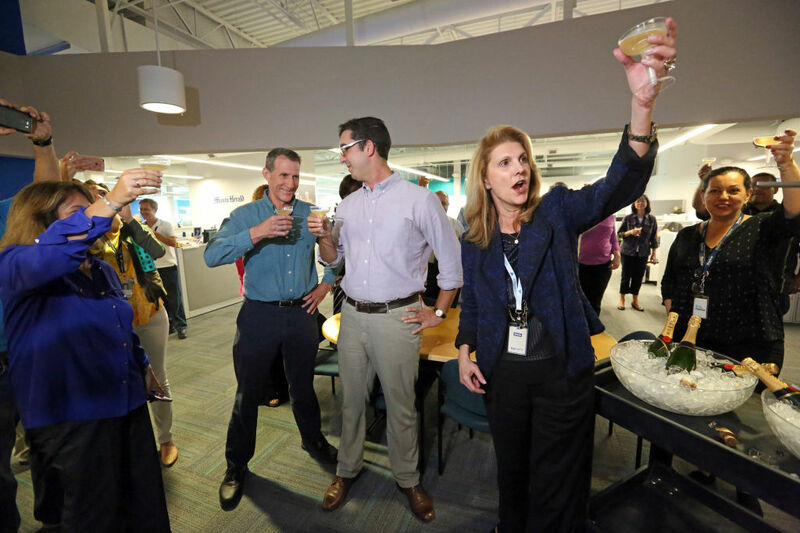 It’s been only been a year and a half since the Panama Papers set a new bar for what collaboration between newsrooms could achieve. This entailed an unrivaled data leak, hundreds of journalists and a reporting project that highlighted the modern reality journalists now frequently work in: big leaks, big data, big stories. 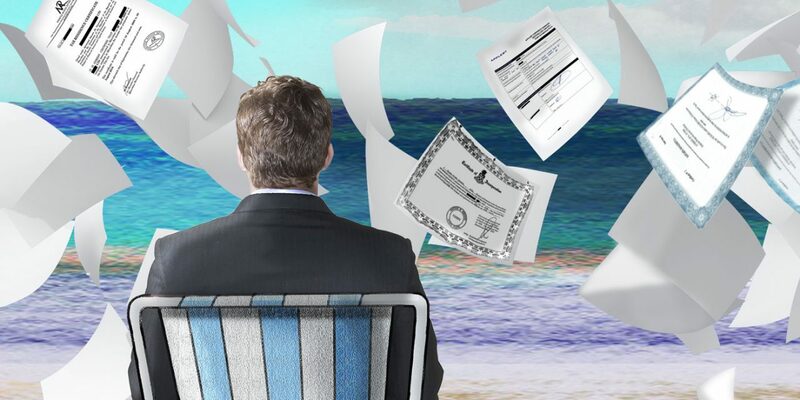 Now, the International Consortium of Investigative Journalists (ICIJ), with 95 partner newsrooms comprised of 381 journalists working in 30 languages across 67 countries, has released the newest iteration of global collaboration with the Paradise Papers. The people behind Paradise Papers turned data into stories by coordinating the logistics of journalism across many newsrooms, making use of communication tools, sharing ideas and observations, planning cohesive approaches to social media and fostering the trust and professional relationships that make such work possible. Prominent figures from around the world, including the Queen of England, Prime Minister Justin Trudeau’s chief fundraiser and members of President Trump’s cabinet, appear in the files along with a number of celebrities, tech investors and major corporations like Nike and Apple. The total value of tax revenue lost to this pattern of offshore stashing is estimated to be in the billions of dollars per year. The scale and scope of the project and the data that underpins it makes it an effort simply impossible without collaboration. “At ICIJ, the mission is to uncover those urgent stories of public interest that go beyond what any particular one journalist or organization can accomplish on his or her own,” said Marina Walker, ICIJ Deputy Director, in a Vice News documentary about the project. Panama Papers and the lessons learned from its execution made for smoother sailing with its similarly alliterative successor. Martha Hamilton is a senior editor and writer at ICIJ and worked on both projects. More than half of the partner organizations working on Paradise Papers also worked on Panama Papers. But it’s still no easy task to bring such a diverse group together and coordinate journalism at such a large scale. ICIJ’s custom tool, Global I-Hub, again played a central role in connecting journalists. Described as a “Facebook for journalists,” the proprietary software served as a secure space for reporters to share things they had found in the data, note quotes and plan coverage. Hamilton says GoTo Meeting was another common tool to connect editors via video chat to talk things out when meeting in person wasn’t feasible. On the data side, the work benefitted from ICIJ’s expanded data team. Linkurious was used to track and display connections between entities in the data. Hamilton says the hardest part early in the project was just getting the data into a workable shape to share with partners. “It’s a different way of working. Not that most of us haven’t collaborated in the past within our own newsrooms, but collaborating with people in other newsrooms, people that we didn’t see day to day, people who are looking at different stories from ours, looking at the same story from a different angle, it takes a while to get used to it,” says Hamilton. But at the end of the day, the effort pays off. Amy Wilson-Chapman joined ICIJ recently and works on Paradise Papers as an engagement editor. The role is twofold, assisting in the engagement and connection between the large teams of journalists working on the project and to help those teams engage with their respective audiences, along with ICIJ’s own audience engagement efforts. Between ICIJ’s collection of platforms, websites and newsletters along with the all of the platforms of the 95 partner newsrooms, Wilson-Chapman says it’s nearly impossible to put a number on just how many social accounts are actively promoting the stories being produced. Wilson-Chapman is tasked with thinking about timing, consistent messaging and coordinated use of hashtags and other shared identifiers. The project also presents a unique opportunity to look at how audiences around the world react to the same series. One thing that comes into play are the different kinds and sizes of audiences. Hamilton highlights the story about Burkina Faso as one such significant story. “We have had a terrific story about Burkina Faso and who loses when money is stashed offshore and taxes aren’t paid. This very, very poor country—one of the poorest countries in Africa—looking forward to money coming in from development, jobs coming in through the Glencore corporation and a lot of those promises just didn’t come through,” Hamilton says. Part of Wilson-Chapman’s work moving forward will be collecting the various stories produced for the project and supporting newsrooms that need help in executing their engagement strategy. Wilson-Chapman’s advice for other newsrooms designing engagement strategies for collaborative projects is to start early. She also recommends thinking about shared creatives and language so that everyone is going out there with a shared vocabulary both in language and imagery that creates a cohesive identity for the project. Hamilton’s advice for newsrooms embracing collaboration is to think about what they are trying to accomplish and who needs to be served. “Define your universe clearly. Do you want to provide really good investigative reporting for smaller communities in the United States, as opposed to providing this kind of investigation that touches on countries around the world? Where is there a need for this kind of reporting? Where can you bring something that’s being lost in the current news environment? It’s this need to create what’s missing in news coverage that makes a compelling case for collaboration. As Paradise Papers show, communication, sharing and coordination can result in stories that resonate with audiences and shed light on important issues. And these stories would not have been possible without partnerships that support the work it took to make them happen.